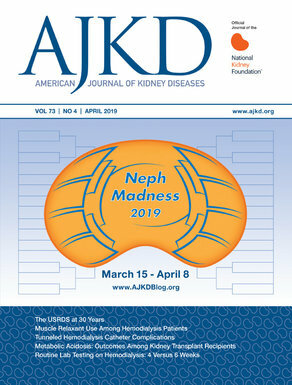 John W. O’Bell, MD, is an Assistant Professor of Medicine at the Warren Alpert Medical School of Brown University and is the Nephrology Fellowship Program Director at Rhode Island Hospital. He completed residency training at Beth Israel Deaconess Medical Center and Nephrology Fellowship at Tufts Medical Center. 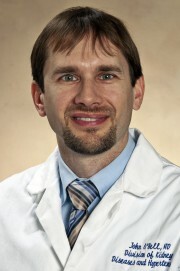 He is the recipient of numerous teaching awards from the Alpert Medical School and the affiliated residency program. His clinical interests include diabetic nephropathy, HIV-associated nephropathy, nephrolithiasis, and acute kidney injury. His research interests include metabolic management for recurrent kidney stone formers, outcomes of patients with acute kidney injury, and HIV-associated nephropathy.